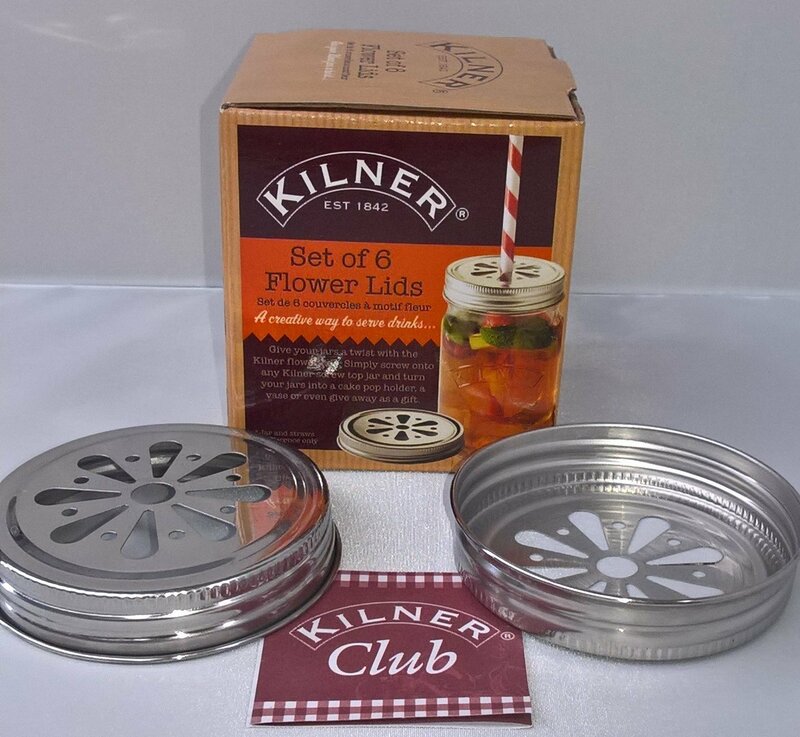 Kilner Drinking Jar Daisy Flower Lids are a screw top lid, ideal for adding straws to cocktails or soft drinks. Great for serving drinks at parties and outdoors. Dishwasher safe.